To compare the sensory and motor block quality in axillary brachial plexus block using the multiple injection method with ropivacaine in uremic and nonuremic patients. Materials and methods: Examined were 60 patients scheduled for orthopedic surgery of the distal upper extremity (nonuremic group: group N, n = 30) or creation of an arteriovenous fistula (uremic group: group U, n = 30) with an axillary brachial plexus block. The median, radial, ulnar, and musculocutaneous nerves were selectively localized by nerve stimulation. After obtaining an appropriate peripheral motor response, predetermined volumes of ropivacaine (0.5%), in accordance with a formula, were selectively injected to the 4 nerves by multiple injections in both groups. Sensory and motor block were assessed. Results: At 30 min, complete sensory and motor block was observed at a rate of 95% in the ulnar nerve innervation area and 100% in the other 3 nerves in group U, whereas these rates were 95% in the musculocutaneous nerve innervation area and 100% in the other 3 nerves in group N. There was no statistically significant difference between the groups. Conclusion: Axillary brachial plexus block using the multiple injection method with ropivacaine in uremic and nonuremic patients provided a similarly good quality of the block and lack of systemic toxicity. Crews JC, Weller RS, Moss J, James RL. Levobupivacaine for axillary brachial plexus block: a pharmacokinetic and clinical comparison in patients with normal function or renal disease. Anesth Analg 2002; 95: 219-23. Alsati RA, el-Dawlatly AA, al-Salman M, Jommaa S, Amro K, Dweiri MA et al. Arteriovenous fi stula in chronic renal failure patients: comparison between three diff erent anesthetic techniques. Middle East J Anesthesiol 1999; 15: 305-14. Mouquet C, Bitker MO, Bailliart O, Rottembourg J, Clergue F, Montejo LS et al. Anesthesia for creation of a forearm fi stula in patients with endstage renal failure. Anesthesiology 1989; 70: 909-14. Gould DB, Aldrete JA. Bupivacaine cardiotoxicity in a patient with renal failure. Acta Anaesthesiol Scand 1983; 27: 18-21. Rice AS, Pither CE, Tucker GT. Plasma concentrations of bupivacaine aft er supraclavicular brachial plexus blockade in patients with chronic renal failure. Anaesthesia 1991; 46: 354-7. Martin R, Beauregard L, Tétrault JP. Brachial plexus blockade and renal failure. Anesthesiology 1988; 69: 405-6. Pere P, Solonen M, Jolinen M, Rosenberg PH, Neuvonen PJ, Haasio J. Pharmacokinetics of ropivacaine in uremic patient aft er axillary brachial plexus block. Anesth Analg 2003; 96: 563-9. Hempel V, Baur KF. Regional Anaesthesie für Schülter. Arm und Hand. Munich: Urban & Schwarzenberg; 1982. p.60-4. 9. Tran DQH, Russo G, Muñoz L, Zaouter C, Finlayson RJ. A prospective, randomized comparison between ultrasound- guided supraclavicular, infraclavicular and axillary brachial plexus blocks. Reg Anesth Pain Med 2009; 34: 366-71. Bromage PR, Gertel M. Brachial plexus anesthesia in chronic renal failure. Anesthesiology 1972; 36: 488-93. Knudsen K, Beckman Suurküla M, Bloomberg S, Sjövall J, Edvardsson N. Central nervous and cardiovascular eff ects of i.v. infusions of ropivacaine, bupivacaine and placebo in volunteers. Br J Anaesth 1997; 78: 507-14. Scott DB, Lee A, Fagan D, Bloomfi eld P, Lundh R. Acute toxicity of ropivacaine compared with that of bupivacaine. Anesth Analg 1989; 69: 563-9. Grossman SH, Davis D, Kitchell BB, Shand DG, Routledge PA. Diazepam and lidocaine plasma protein binding in renal disease. Clin Pharmacol Th er 1982; 31: 350-7. Mostert JW, Evers JL, Hobika GH, Moore RH, Kenny GM, Murphy GP. Th e haemodynamic response to chronic renal failure as studied in the azotaemic state. Br J Anaesth 1970; 42: 397-411. Norio K. Mäkisalo H, Isoniemi H, Groop PH, Pere P, Lindgren L. Are diabetic patients in danger at renal transplantation? An invasive perioperative study. Eur J Anaesthesiol 2000; 17: 729- 36. Wald-Oboussier G, Viell B, Biscoping J. Die Wirkung von Bupivacaine-HCl nach supraklavikulärer Plexusblockade bei Patienten mit chronischer Niereninsuffi sienz. Reg Anaesth 1988; 11: 65-70. Rice ASC, Pither CE, Tucker GT. Plasma concentration of bupivacaine aft er supraclavicular plexus blockade in patients with chronic renal failure. Anaesthesia 1991; 46: 354-7. Neal JM, Gerancher JC, Hebl JR, Ilfeld BM, McCartney CJL, Franco CD et al. Upper extremity regional anesthesia: essentials of our current understanding, 2008. Reg Anesth Pain Med 2009; 34: 134-70. Handoll HHG, Koscielniak-Nielsen ZJ. Single, double or multiple injection techniques for axillary brachial plexus block for hand, wrist or forearm surgery. Cochrane Database Syst Rev 2006; 1: CD003842. Casati A, Danelli G, Baciarello M, Corradi M, Leone S, Di Cianni S et al. Prospective, randomized comparison between ultrasound and nerve stimulation guidance for multiple injection axillary brachial plexus block. Anesthesiology 2007; 106: 992-6. Chan VW, Perlas A, McCartney J, Brull R, Xu D, Abbas S. Ultrasound guidance improves success rate of axillary brachial plexus block. Can J Anaesth 2007; 54: 176-82. Sites BD, Beach ML, Spence BC, Wiley CW. Ultrasound guidance improves the success rate of a perivascular axillary plexus block. Acta Anaesthesiol Scand 2006; 50: 678-84. Koscielniak-Nielsen ZJ. Ultrasound-guided peripheral nerve blocks: what are the benefi ts? Acta Anaesthesiol Scand 2008; 52: 727-37. Coventry DM, Barker KF, Th omson M. Comparison of two neurostimulation techniques for axillary brachial plexus blockade. Br J Anaesth 2001; 86: 80-3. Lavoie J, Martin R, Tètrault JP, Côte DJ, Cotas MJ. Axillary plexus using a peripheral nerve stimulator: single or multiple injections. Can J Anaesth 1992; 6: 583-6. Rodríguez J, Taboada M, Del Río S, Bárcena M, Alvarez J. A comparison of four stimulation patterns in axillary block. Reg Anesth Pain Med 2005; 30: 324-8. Koscielniak-Nielsen ZJ, Stens-Pedersen HL, Lipper FK. Readiness for surgery aft er axillary block: single or multiple injection techniques. Eur J Anaesthesiol 1997; 14: 164-71. Inberg P, Annila I, Annila P. Double-injection method using peripheral nerve stimulator is superior to single injection in axillary plexus block. Reg Anesth Pain Med 1999; 24: 509-13. Fanelli G, Casati A, Garancini P, Torri G, Study Group on Regional Anesthesia. Nerve stimulator and multiple injection technique for upper and lower limb blockade: failure rate, patient acceptance, and neurologic complications. Anesth Analg 1999; 88: 847-52. ISNAD ÇEVİK, Hüyla , MAHLİ, Ahmet , COŞKUN, Demet . "The effects of axillary block using the multiple injection method with ropivacaine in uremic and nonuremic patients*". 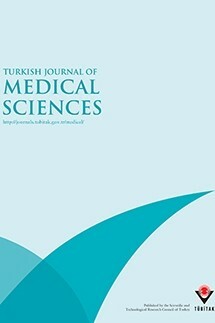 Turkish Journal of Medical Sciences 42 / 3 (March 2012): 457-464.